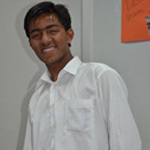 My name is Asif, 17 years old, My parents were from Aligarh district in Uttar Pradesh but migrated to Mumbai for work. And that’s where I was born. My parents died when I was quite young. I ran away from my home when I was just 8 years old. After living on my own on the streets for 5 yrs, I was finally motivated by a social worker from Salaam Baalak Trust to live in a shelter home. SBT has provided me with all necessary things required for living a life. I joined City walk programme in the year 2017, as I was keen to learn and improve my communication skills. After completing my high school, I would like to pursue a degree course in Tourism because in future I want to be a professional tour guide and explore the world. 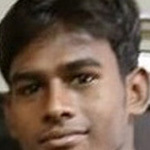 My name is Devraj, 18 years old. I am originally from Nepal. In 2014 I came to Salaam Baalak Trust and after that my life changed completely. I was engaged in various activities and later enrolled in class 10 through NIOS. In the year 2015 I joined the City walk programme in order to improve my communication skills and build up my confidence. My dream is to become a police officer. My name is Ruhi Khan, 18 years old. My parents were financially very poor and suffered from poor health also. So for my well being, I was sent to Arushi Home of Salaam Baalak Trust when was 5 years old. . I got lot of love and care from the people working for the organization, and SBT has become my family. I learnt lot of things and was mentored to give a frame to my dreams. I started as a peer educator at one of the Contact Points and then joined City walk programme in the August of 2015 .Through this programme I try to sensitize people about the street children and their life. Now that I have completed Class 10th, I plan to work harder and fulfill my dream to be an air hostess. Hi...I am Anny and I am 16 years old. I am originally from Orissa. I was brought to Delhi by my relatives who left me in an orphanage . In 2011, I was shifted to one of the girl's shelter home of Salaam Baalak Trust. The organization provided me all the love care and help, which eventually helped me towards holistic development. I recently joined City Walk programme in 2017 to improving my communication skills. I always wanted to be a tour guide. 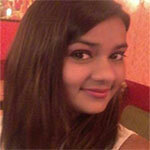 My name is Nisha and I am 16 years old. I am originally from Delhi. I came in touch with a social worker of SBT when my family was living on the streets around Hanuman Mandir in Connaught Place. I was taken to Arushi Home of the organization. I was involved in various activities out of which I love painting the most. I am enrolled in art classes in order to became an artist which is my childhood dream. My name is Ajay, and i am 19 years old . I am originally from Mumbai. When I was seven years old, I got lost during a big festival. I spent my childhood on the street and went to jail twice as i used to pick pocket. After coming to Delhi, I came in touch with Salaam Baalak Trust (SBT) in 2005. When I joined SBT, I couldn't read or write but now I am a high school student. In 2010, I got enrolled in City Walk programme, as I wanted to improve my English and become a 'famous star' of Salaam Baalak Trust. I have learnt a lot from this programme and love meeting new people on the walk every day. Since childhood I wanted to become a train driver but the exposure I got from City Walk has inspired me to visit USA and explore better opportunities. 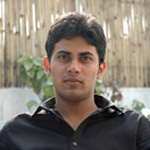 My name is Noor Hussain Ali and I am 24 years old, from Assam. I ran away in 2003 from my home since it was unbearable for me to see my father fighting over small things. My father and my elder brother use to beat me often. I was a lost child when I got down from the train at New Delhi Railway Station, since nobody was able to understand my mother tongue, Assamese. But luckily, I was spotted by Salaam Baalak Trust's team within minutes of my arrival. SBT provided me with a meaningful direction and I could see my life in a new light. I joined City Walk programme in 2013 which has given me an opportunity to improve my language skills. I am in final year of my Graduation and also pursuing a PG diploma in Tourism from Kuoni Travel Academy. I am presently doing my internship with a travel agency and hope to become a professional tour guide soon. 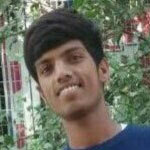 My name is Shivram and I am 19 years old. I am from a small village near Agra, Uttar Pradesh. I ran away from my home when I was six years old because my father used to beat my mother over small things. 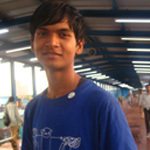 When I arrived on New Delhi railway station, life was more difficult than I ever expected. No place to sleep, no food and regular beating from policemen since living on street is illegal. One day, I met a social worker from Salaam Baalak Trust who convinced me in joining the trust. After coming to SBT in 2006 my life changed for good - I got enrolled in school and in various other educational programs and I was able to activities of my choices like theater. I joined City Walk program in 2012 as I wanted to become more confident by improving my English communication skills. Right now I am in 12th class. I want to be an actor since it's my childhood dream. My name is Prashant and I am 19 years old from Ghaziabad district in Uttar Pradesh. I live in a joint family. My father has a life threatening disease which unfortunately changed our lives forever. My uncle who was paying for my expense suddenly stopped it and asked me to work and earn. My father approached a NGO which helped in giving medical aid to him and referred me to Salaam Baalak Trust. I came here in 2004 and it provided me with a promising environment where I was able to shape my personality. I joined City Walk programme in 2013 as I was very keen to learn English language. After completing my high school, I am presently, pursuing a degree in Tourism from IGNOU and also doing a regular diploma in Tourism Management from Kouni Academy, Delhi. I want to become a professional tour guide and want to open my own travel agency. My name is Ejaz and I am 18 years old. I am originally from Bihar. My father is a maulvi (priest in a mosque) and he wanted me to become just like him but I was not interested. Tired of my father's beatings, I ran away and took a train to New Delhi. I worked in a lock shop near the New Delhi railway station. One day I met a man who told me about a NGO- Don Bosco Ashalayam. I went there and felt very happy. My father came to know where I was and he took me back home. He told me that I must study the Quran and become a maulvi. I left my home again and came back to New Delhi. I met a social worker of Salaam Baalak Trust in 2012, he told me about the organisation and facilities provided by them. I have joined the City Walk programme in 2013, because I want to improve my English communication skills and become a confident person. Life is a big challenge, but I am excited to face it. 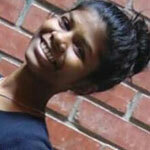 My name is Sangeeta and I am 19 years old. I was born in Mumbai. When I was two years old my father died in an accident. After that I use to live with my mother and younger sister near Mumbai Railway station. Later, my mother also died when I was ten years old and we were sent to stay in the hostel of Saint Anthony high school. After 2 years, I met Family Service Centre, an Adoption centre and they helped me and my sister to find a suitable adoption family and we were sent to live in Boston in USA with my new family. However, I was not able to adjust to the lifestyle there and after 2 years, I came back to Mumbai. I met the people at Family Service Centre who then sent me to Salaam Baalak Trust in Delhi as they knew that the organisation provided good care for children. Since 2010 I have been living in girl's home of SBT. The home has helped me a lot by providing many facilities especially education and presently, I am studying in class 10th through Open schooling. I have joined City Walk programme in 2014, because I want to improve my English communication skills and become more confident. I am still discovering what I would like to do in future and hopefully will soon get the right direction. 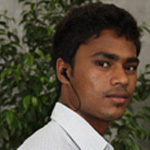 I am Shekhar and 23 years old. I was introduced to City Walk in 2006 and was the first guide who started conducting the Walk along with one more colleague. From 2006 to 2009, I sensitised more than 6000 people from across the world about street children and their lives. Those three years entirely changed my life. 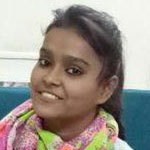 My English speaking, reading, writing skills became wonderful and I was able to take one step further towards my aim: Now I am pursuing graduation from Indira Gandhi National Open University and working in a Call Centre. I also want to study in USA to become a professional tour guide. I am really thankful to Salaam Baalak Trust for all the help and support that I got! My name is Javed and I am 27 years old. 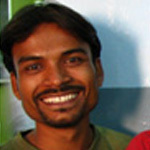 I am from the state of Bihar and ran away from home when I was eight years old because my family was very poor. I lived on the streets for more than two years until a SBT staff convinced me to go and live in a shelter home. I studied sociology through distance education and joined City Walk program in 2006. It's in this program, where I met an American girl who I fell in love with and who is now my wife! We married in 2010 and live together in Atlanta, USA. Presently, I am pursuing my higher education in a university here. 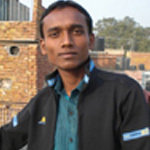 My name is Brijesh and I am originally from Bihar. I ran away from my home at the age of six, owing to the regular verbal and physical violence I faced from my aunt. Besides badmouthing and beating me, she used to engage me in household and petty work. Devoid of a regular childhood, I soon got lost in the streets of Delhi. I spent five years on the streets of Delhi collecting garbage and selling refilled water bottles. One day, I was found by SBT staff and soon joined the organisation. I finished my school while in SBT and also learned Spanish. I was a City Walk guide from 2008 until September 2010, when I left to study Tourism Management in USA on a scholarship. I came back in June 2011 and presently, I am working in a reputed travel agency. I hope to start my own Travel Agency soon. 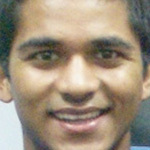 I am Anil, 24 years old. I was born and spent my childhood in a railway community area which is very close to New Delhi Railway Station. When I was 17 years old, I used to be a very rude and restless boy. I used to smoke, drink alcohol and wander around the streets all night with my friends. That time, my mother brought me to Akanksha contact point of SBT, where I met the coordinator and other SBT staff who counselled me to become a better person. Thereafter, I started studying and became curious about learning English. This motivated me to join City Walk programme in 2009 and worked as a guide for a year. I learned many things about my personality and skills, passed the high school and enrolled in Indira Gandhi National University to pursue my graduation. Besides this I am working for Indian Railways as a technician and constantly working to improve my skills. 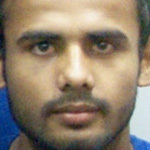 My name is Sudhir. I am from Bihar and ran away at the age of seven to pursue education, recognising that I couldn't study much there due to limited opportunities in my village. I followed a friend who had earlier been to Delhi, but got separated from him on the way, and ended up at New Delhi Railway Station alone. Luckily I knew the name of Salaam Baalak Trust and had heard of the educational opportunities there. I found the Trust and decided to stay there, even though my parents came to Delhi to take me home. I was part of the City Walk programme from 2008 until September 2010 to improve my English and achieved a lot! I have completed my Graduation from Delhi University and am a successful karate coach for Salaam Baalak Trust and for other schools in Delhi. I plan to do Masters in Social Work as I am very much interested in contributing my bit to the society. My name is Danish, 22 years old. I ran away from my home in Bihar when I was seven because my family was very poor and we didn't have enough food. I lived on the streets and in railway stations, mainly in New Delhi, for about eight years. I survived by collecting leftover food from luxury trains, polishing shoes, selling water bottles and rag picking. When I was about 14, a Salaam Baalak Trust staff met me and counselled me to join the Trust; eventually I joined a shelter home and besides participating in various activities also studied through National Open School. 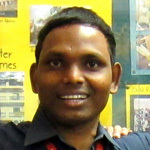 I became involved with City Walk in 2006 to improve my English and worked as a guide for some time. I also did lots of craft work (macramé) and trained many people in it. Presently, I am studying Bachelor of Arts through Delhi University. I helped an overseas volunteer set up a Volunteer Flat for SBT in Paharganj and presently, also managing the flat. 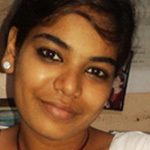 My name is Shahadutt, I am 24 years old and from the state of Bihar. I came to Delhi with my father when I was six years old to work in a factory. After working for 15 months, I got lost around New Delhi Railway Station while searching for my brother. All alone on the streets, I fell prey to a local gang which engaged me into activities like pick pocketing, stealing and buying drugs. One day, two SBT social workers spotted me and brought me to one of the shelter homes, where I stayed for 12 years and received my education. SBT also helped find my parents and reunite with them. In SBT, I was involved in many activities - as a Walk guide, actor, puppeteer, stage light designer and also studying Bachelor of Arts. I worked in the City Walk programme for two years until July 2011, when I went to USA on a scholarship to study Business Management in Wisconsin. I came back in May 2012 and plan to set up my own business. I am very thankful to Salaam Baalak Trust for positively changing my life and helping me to realize my dreams! 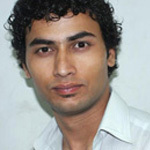 I am Satyender, 22 years old and from Bareilly, Uttar Pradesh. I ran away from my home in 2005 because my father used to beat my family members every day. One day I was so badly beaten by my father, that I made a plan and ran away. I spent one night on Old Delhi Railway Station, there I struggled for food, place to sleep and was beaten up by the police many times. Next day a social worker from SBT found me and I started living and studying in one of the shelter homes. 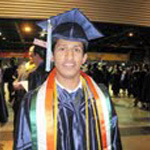 After completing my high school I worked as a guide in City Walk for two years until June 2012, when I got selected for US scholarship to study Information Technology in City College of San Francisco. 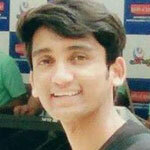 I came back in mid 2013 and doing degree course in animation and web designing. My name is Iqbal and I am 22 years old. I came to live on the streets when I was only five years old. I don't clearly remember my parents or my hometown but I still shiver when I recall about the nights spent alone, in hunger and fear, on trains and in train stations, many times being beaten up by the police and older people who also lived on the streets. In 2006, I joined SBT where I learnt computers from a reputed institute in Delhi and completed high school through Open Schooling. In 2010, I joined the City Walk Programme, as I wanted to improve my communication skills and to interact with people from different countries and learn from their culture. Initially, it was quite challenging but soon I was able to gain confidence and present myself in front of others. Now I am living independently and want to work for other street children and support a shelter home like the one I grew up in. Since the time I have joined City Walk I have developed interest in the Travel industry. I have done diploma course in Tourism from Kuoni Travel Academy and also pursuing degree in Business Administration (BBA) through distance education programme, through CQU scholarship. In 2014, I got selected through US scholarship to study certificate course in Business Management from Miami Dade College, USA. I am Tabrez. 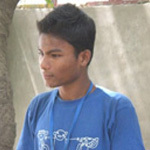 I am 21 years old and from Bihar. At seven years of age, I ran away from my home. I started living on the streets and survived by rag picking, cleaning the trains and other odd jobs. I was introduced to the Trust's GRP contact point in 1999 and soon started living in one of the shelter homes. At SBT, my life got a new direction, I started going to school and have completed my high school. I have also done basic computer course and diploma in retail management from a reputed institute in Delhi. I love playing cricket and football and I am part of the SBT team, where I have contributed in winning many matches for the organisation. I joined City Walk programme in 2011 as I used to be a very shy person and did not like to talk in front of other people. Since I joined the programme, my communication skills have improved and I am quite confident. I have diploma course in Tourism from Bird Academy and presently, working as a Front Office Manager in an International Guest House. My name is Tariq Aziz. I am 21 years old and was born to Indian parents living in Nepal. My father often used to beat me and my family. When I was 12 years old, I decided to run away from home. I arrived in Delhi but didn't know where to go or what to do in this city. The only option I saw was to live on the streets and looked for ways to earn money and survive. I worked at a tea stall and collected rubbish. Then one day I met a social worker from Salaam Baalak Trust and he encouraged me to join one of its shelter homes. I joined SBT in 2005 and my life changed for the better. I learned a lot of things- completed my high school and also learnt basic computer programming skills. I have been part of the City Walk Program since 2011, which has given me the opportunity to improve my English communication skills and boost my self-confidence. I have also done diploma course in Tourism from Kuoni Travel Academy and also pursuing degree in Tourism through distance education programme, through CQU scholarship. In 2014, I was selected through US scholarship to study certificate course in Tourism Management from Northern Virginia Community College, USA. 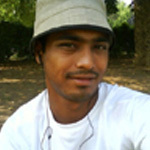 My name is Kailash and I am from Bihar. As a child, at my home village, I use to take care of goats and did not attend regular school as it was far from my home. My older brother ran away when he was 11 years old and was already living at Salaam Balaak Trust (SBT). One day he came back home and asked my father if he could take me to SBT because I wanted to study and my parents could not afford that. My parents are not educated but they understood the value of education and so they agreed. When I arrived in Delhi I was 8 years old and remember being shocked because I had never seen such big buildings or crowds before. My brother took me to SBT straight away so unlike most of the other children there I never spent any time living on the street. Because I was a village boy from Bihar I could not speak any Hindi and was quite shy and missed my family a lot. After some months however, I attended fifth class in regular school and learnt Hindi, Maths and English. This made me feel a lot happier as I could interact with the other children. At the present time, I have done a six month course in basic computers and multimedia. I joined the City Walk team in 2012 because I wanted to improve my English communication skills and gain confidence. I have also done diploma course in Tourism from Kuoni Travel Academy and also pursuing degree in Tourism through distance education programme, through CQU scholarship. In 2014, I was selected through US scholarship to study certificate course in Tourism Management from Miami Dade College, USA.